Dal or lentils are a staple in Indian diet. Most of us consume a variety of lentils daily. It is a large component of protein in Indian vegetarian diet. And in most homes, it is like soul food. Hot and heartwarming when served with plain boiled rice or even chapatis. Technically all dals are dal tadka. Tadka means tempering, and dals are always tempered before serving. 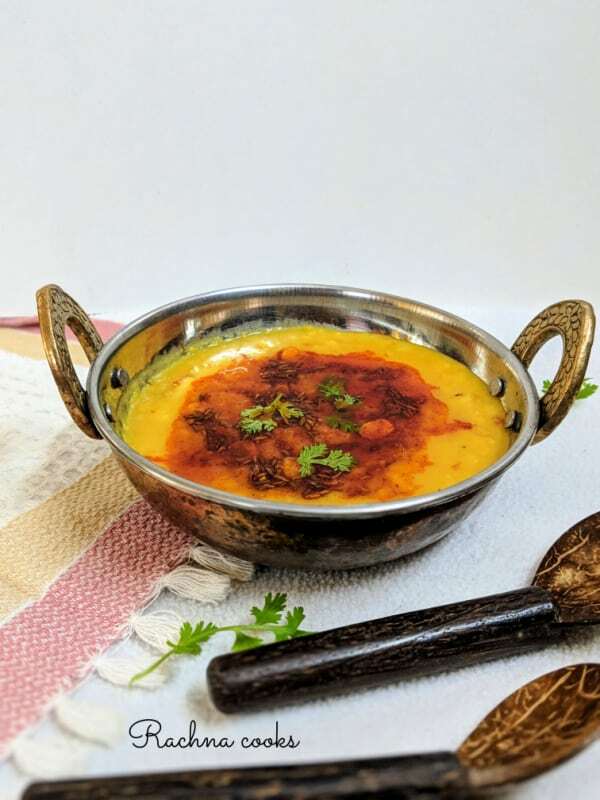 But, this Punjabi dal tadka recipe is the simplest yellow dal tadka that is made in most homes and served in restaurants. 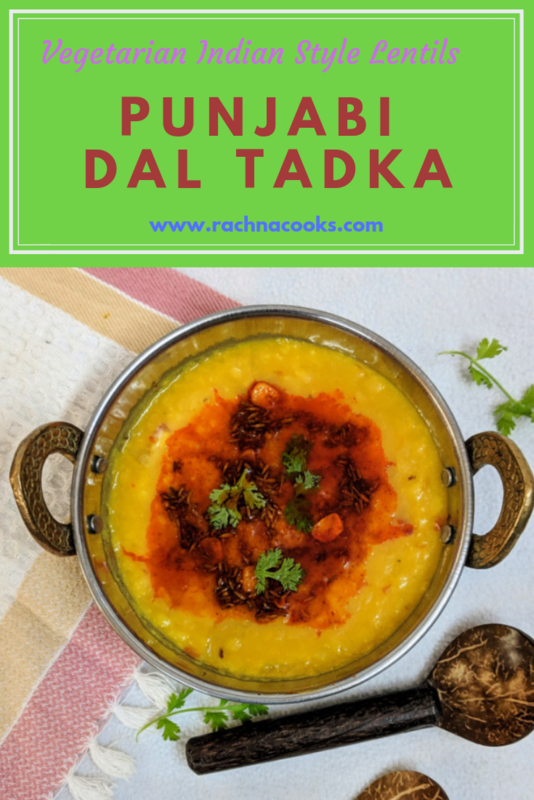 This dal tadka dhaba style recipe does not take more than 30 minutes to serve and hence is made regularly at my home. You can make tuar/arhar dal (pigeon peas), masoor dal (split red lentil), moong dal (split green gram) or a combination of these dals for making your tasty dal tadka recipe. 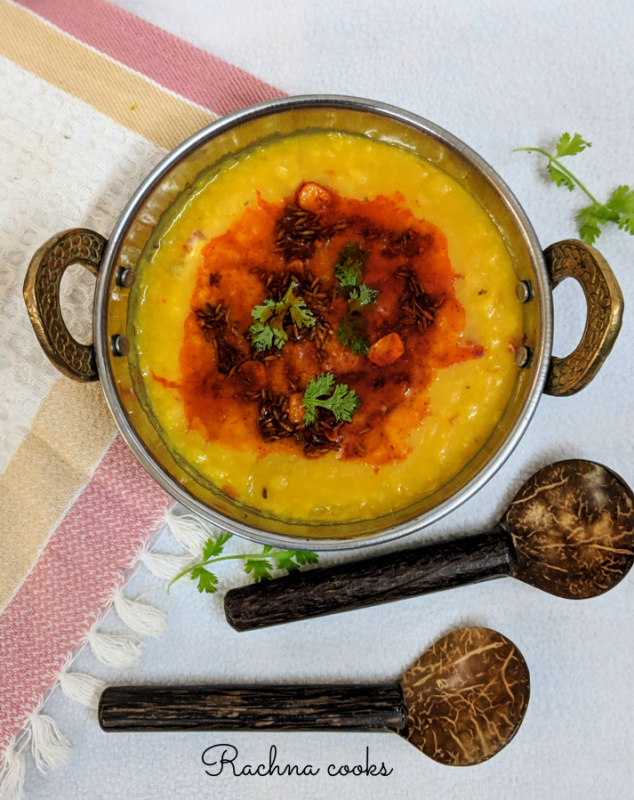 This is a supremely tasty Punjabi dal tadka recipe that is dhaba style. 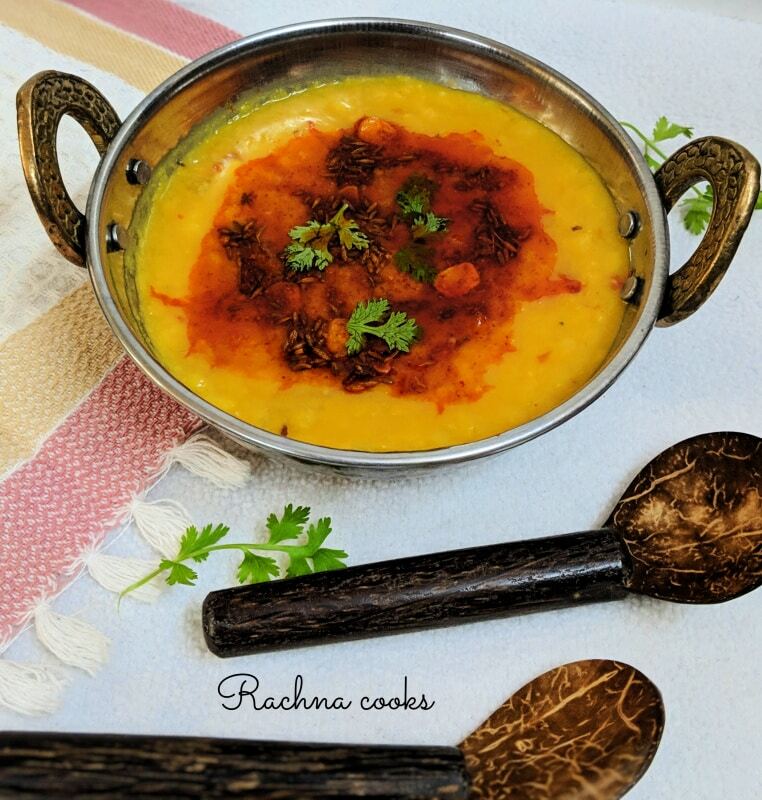 Dal and rice are a favourite food of mine and this dal tadka is made regularly at my home. Pressure cook the lentils with green chillies, ginger, onion and tomatoes till mushy. It takes about 15 minutes. You can also cook this in a pan, but it will take longer. To expedite, you can soak the lentils for about an hour before cooking. Cool, mash with the ladle and keep aside. Now to prepare the tempering keep all the ingredients at hand. Heat a pan. Add ghee. When it melts, add cumin and allow it to sputter. Add garlic, dry red chillies and asafoetida in quick succession. Now add in chilly powder. Take special care not to burn the tempering. Now tip in the prepared dal (lentils). Mix well and simmer on low heat for 2-3 minutes. Add some water if it is very thick. Garnish with coriander leaves and lemon juice and serve hot with boiled rice. You can also have it as a soup if you so desire. Your dal tadka is ready to serve. You may use a combination of lentils eg. 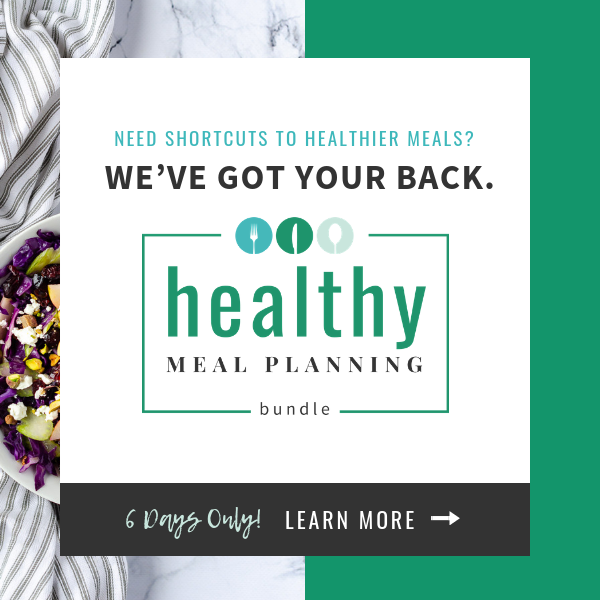 pigeon peas with red lentils or split green gram with red lentils. All are equally tasty. You can also serve this dal as a soup. It is quite delicious. You may substitute ghee with butter. This Punjabi dal tadka is simple homemade goodness on a plate. It tastes just like the smoky dal tadka you get in restaurants. Dal tadka is simple & tasty dish. Liked your presentation in youtube video. Dal tadka is my saviour when I have to cook something jhatpat! True that. Goes so well with both rice and chapatis. This will be very helpful to me. Thank you for sharing the recipe. I am glad that the recipe is useful for you, Ranjana. It looks mouth watering. I can live on dal chawal all my life. Thanks Lata! Dal chawal is soulfood for me as well. In a Bengali household, yellow dal is a staple item with rice. But dal Tadka happens only with chapati or Roti. Simple but tasty and healthy food. Dal Tadka with Roti is my go-to dinner. And if it’s from a Punjabi Dhaba on a highway, nothing gets better than that ! I love this Dal, it is comfort food. Love it with hot parathas more than rice. I love the the tadka of hing and garlic in ghee. Aah, the smell and taste is heavenly!! Woow it looks yummy! 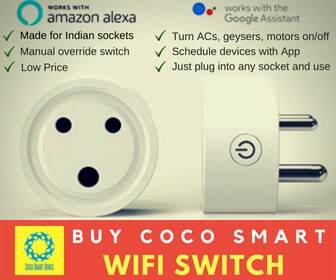 trying it soon. This is one of my favourites because it is so easy to make! I haven’t tried mixing up the dals but will do that. Dal tadka is one Indian food that I really love. Unlike everyone else in my family. They all hate dal in any form! Sighhhh! I hope this is temporary though. I use the exact recipe and make this pretty often for my vegetarian husband. He loves it!